How did you hear about CrossFit? I went to an introductory class at a facility in Waukee, but was not able to make my schedule work with their schedule. 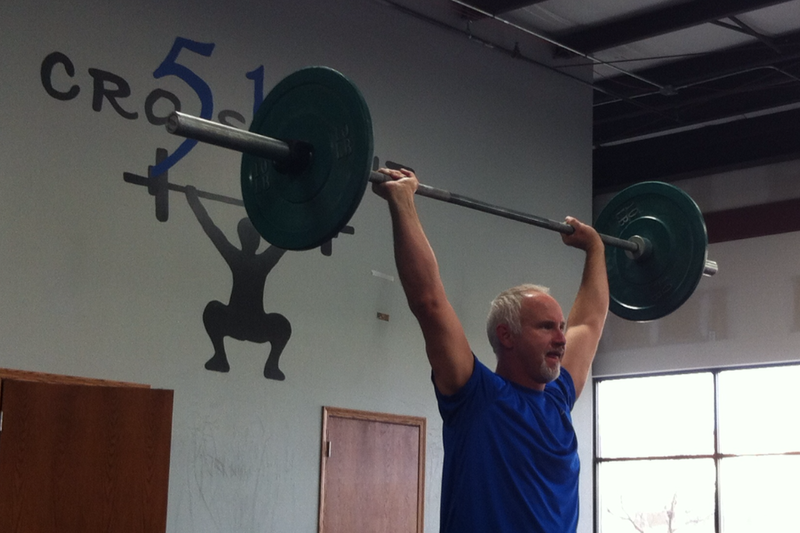 Shortly after that we noticed that CrossFit 515 had opened up across from our office (Availon). Favorite/ least favorite movements or workouts? My favorite movement would be pull ups or rowing. 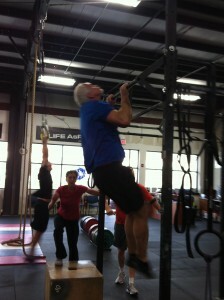 My least favorite movement would have to be the burpee, though it is getting better. I thought they would kill me when I first started. How has crossfit changed your life? Crossfit is the first workout program I have stuck with longer than 3 months since high school. When I first started I had chronic back problems and maybe could run a quarter of a mile. I am now rarely limited by my back during work outs or when working on projects at home. I ran the warrior dash this last summer in 33 minutes and am feel stronger than any time in my life. It is addictive, the days I can’t make the workout, nobody wants to work with me. Job info: President of Availon, inc. Availon provides services for wind turbine generators in North America. Something funny/ interesting about me: I threaten weekly to pull up stakes and buy a sailboat in the keys. I think we should all go. Favorite Movie: I am a John Wayne fan, favorite movie was Hondo. Congrats Steve, you deserve it! Nice Job!!! You are an inspiration to all of us!! It’s absolutely wonderful seeing him in such good shape and excited to workout. I foresee years of Warrior Dashes in our future. Congrats, Steve! I love to hear that your back no longer slows you down and couldn’t agree more that Crossfit is the best way to start the day. What huge progress you’ve made. So glad you found CrossFit 515! YEAH, Steve! Congrats! Love seeing and hearing about your progress and the changes you’ve seen.